Long identified with the acclaimed works of Studio Ghibli, Joe Hisaishi is one of the finest practitioners of orchestral melody working in film today. He is also however a multi-faceted composer, able to skip from genre to genre and with over 100 scores and solo albums to his name. He is also a film director, typesetter, arranger, conductor and head of an orchestra. Born in 1950 in Nagano, Japan as Mamoru Fukisawa, Hisaishi began violin lessons at the age of five and later attended the Kunitachi College of Music in 1969. His first professional experience was as a typesetter, and his initial musical ideas were influenced by the Japanese popular music boom in the 70s. 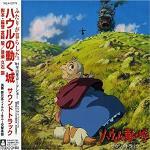 His first success was, intriguingly, for an animation entitled Gyatoruzu, in 1974. Emboldened, Hisaishi moved increasingly towards orchestral work, presenting his first public performance in 1975 and releasing his first album, MKWAJU, in 1981. His path to film music stardom was cemented in 1983 when he was recommended to create an album for a film called Nausicaa of the Valley of the Wind. 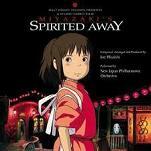 Often considered to be the beginning of Studio Ghibli (although it was released before the studio was officially founded), Hisaishi and the film's director Hayao Miyazaki became firm friends, and Hisaishi was to score future Ghibli efforts such as Spirited Away, Princess Mononoke, Kiki's Delivery Service and Ponyo on the Cliff by the Sea. Responding to the environmental and ethical concerns of the narrative, Hisaishi infused the score with a tender, lyrical sense of melody, stylistics that were to underpin his future scores for the studio. Cementing his status as one of Japan's premier anime composers, Hisaishi then initiated his own solo career, creating his own label, Wonder Land Inc. and releasing several albums. His other film compositions have included the Oscar-winning Departures, The Sun Also Rises and I'd Rather be a Shellfish. 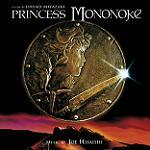 His enormous success with Ghibli has earmarked him as one of Japan's premier anime composers. 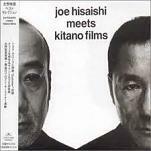 Another key collaborator was actor/director "Beat" Takeshi Kitano. Befitting a filmmaker whose works encompass everything from violent crime to tender lyricism, Hisaishi demonstrated yet further versatility, working on films including Sonatine, Kids Return and Kikujiro. Composing for electronics and orchestra where appropriate, Hisaishi showed yet more facets to his musical personality when working for the director. 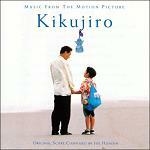 The utterly beautiful piano/string combination in Kikujiro is a notable highlight. However, it was a partnership that was to end bitterly, after an argument during post-production on Dolls in 2002. The two haven't worked together since. On a more positive note, Hisaishi has won the Japanese Academy Award for Music 7 times (in 1992, 1993, 1994, 1999, 2000, 2009 and 2011). In 1998, he composed music for the Winter Paralympics and he even made his debut as a director with the film "Quartet" in 2001. It's yet another side to one of the finest composers working in film today, one who underlines his work with a real sense of compassion. Having produced a fantastic score for the video game Ni No Kuni in 2010, we wait with baited breath to see what he'll come up with next. Meanwhile the car manufacturer Hyundai is showing a series of adverts on UK TV with a short music track by Vanessa James based closely on Joe Hisaishi's "Summer" from Kikujiro. Here's one of the Hyundai ads on youtube, on Vanessa James' Youtube Channel. For comparison here is the composer himself playing Summer. Here is Joe Hisaishi conducting (and sometimes performing on piano) a Studio Ghibli 25 Years Concert which commemorated the premiere of Ponyo and the composer's 25 year collaboration with film maker Hayao Miyazaki. 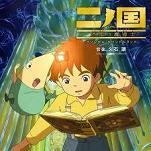 Ponyo - also known as "Ponyo on the Cliff by the Sea"
Piano Stories - one of a series of albums (and a tour) named "Piano Stories"
Ni No Kuni - Video Game, sometimes called "Ni No Kuni Shikkoku No Madoush" or "second country"
Those interested in exploring Hisaishi's work for the first time may be intimidated by the vast scale of his work but can't fail to go wrong with his accessible melodic works like Spirited Away, Kikujiro, and Ponyo (also found under the title "Ponyo on the Cliff by the Sea"). The composer's original name was Mamoru Fukisawa, but he chose the stage name "Joe Hisaishi" because it is based on the Japanese way of writing Quincy Jones.